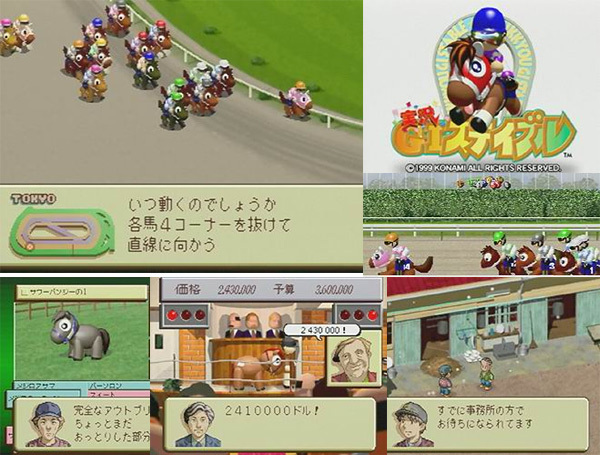 Thoroughbred horse racing game that allows jockeys to control everything from the selection of the stable staff through to the champion hurdle via the horse's training. 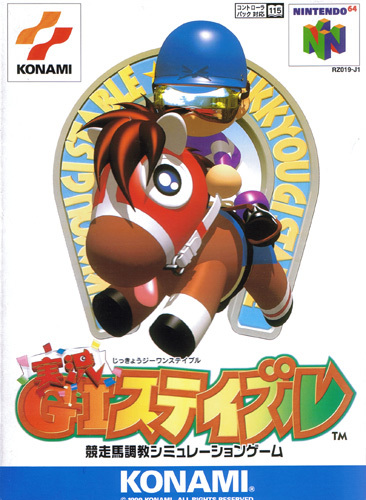 Very cute graphics are used to represent the horses and stable staff and the game is positively gleaming with Konami polish. Second hand. Manual slightly dog eared. 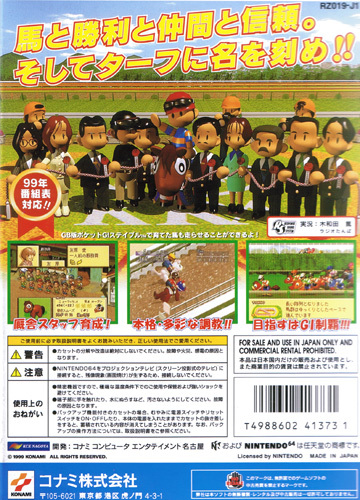 Box slightly discoloured.